What Will Happen to British Institutions When the Queen Dies? If you've been ignoring the monarchy most of your life, you're probably not ready for what a big deal it's going to be. The official line on the Queen dying is: don't mention the Queen dying. When I call up Buckingham Palace with routine questions about the procedures in place for when her royal highness pops her clogs, the press officer laughs down the line. "The Queen is expected to live for a long time yet," she says, before curtly informing me she has no information to offer about what will happen after that. The Queen is 90 and has been in ill-health. She was recently seen at a church service at Sandringham after missing her Christmas engagements and staying out of the public eye for a month. For the hardest working monarch in British history, this is a pretty drastic absence. Even with all the top drawer medical expertise available, it's going to take some next level science to prevent the inevitable. Anyway, we already know a plan exists. It even has a special codename. In 2004, Stuart Neil, a former Buckingham Palace secretary, had his car broken into at Heston Services on the M4 near Heathrow Airport. The thieves reportedly made off with a laptop and a briefcase containing plans for the Queen's funeral under the codename "Operation London Bridge". Neil, perhaps wanting to put the incident behind him, did not respond to requests for comment for this article. The contents of that plan are classified, but we have a reasonable idea of what's likely to happen based on previous royal events and common sense. The Queen remains incredibly popular. Ipsos Mori polls taken around the time of her 90th birthday in 2016 showed that more than three-quarters of the British public are in favour of the monarchy. Her death is likely to cause public trauma not just in this country but throughout the Commonwealth. Diana's death prompted a period of national mourning on a scale never seen before. The flowers laid at the palace were five feet deep and composting on the bottom. In some ways, the death of the Queen, a nonagenarian who's spent 65 years on the throne, may come as less of an emotional shock. Nevertheless, many expect the country's period of mourning to outpace anything that has come before. "The outpouring of grief will be much greater than when Diana died," says Charlie Proctor, editor-in-chief of Royal Central, a news site focused on the monarchy. "The Queen is not only the UK's head of state, she is also the Queen of 16 other nations. Hundreds of millions of people will mourn her loss and, when televised, the funeral will be the most watched programme in recent times." The palace has reason to be nervous. Brexit jitters have sent the pound trading near lows not seen since the mid-80s, and every time Theresa May is scheduled to open her mouth about Article 50 the FTSE 100 takes a dive. Markets, to quote a cliche, hate uncertainty, and one thing that could add to the uncertainty gripping the country right now is the death of its longest serving monarch, the single constant public presence in most people's living memory. The royals of yore were pretty well attuned to the fact that you should never leave a country without a ruler. So when a monarch dies, the next in line automatically ascends the throne immediately – hence the phrase, "The King is dead, long live the King." Some have speculated that Prince William, who is more popular with the public than his father, the Prince of Wales, could leapfrog the line of accession and take the crown. But experts on royal convention think this is highly unlikely. "All of the signs point to Charles taking up more of his mother's duties," Proctor says. "Recent examples include the Prince and Camilla attending the state opening of parliament and the Commonwealth heads of government meetings." "I can say with 99.9 percent confidence that Prince William will not leapfrog his father," agrees Penny Junor, a royal biographer. After the Palace has announced the news it will be reported immediately by the BBC and other news services. Presenters probably already have black ties on hand for such an event, following a row that broke out in 2002 when Peter Sissons wore a red tie to announce the Queen Mother's death. The BBC, as the national broadcaster, is expected to switch to rolling coverage as soon as the announcement is made, but it's likely all the networks will follow suit. After King George VI died in February of 1952, the BBC stopped showing comedy shows and only resumed after the royal funeral had taken place. These days we can only dream of that kind of respite from Mrs Brown's Boys. Experts say the royal funeral would take around 12 days to organise. The Queen gets a state funeral, an extremely rare honour only given to a dead monarch or when decreed by Parliament. The last non-royal to get a state funeral was Winston Churchill in 1965. The cost of recent royal events, including Prince William and Kate Middleton's wedding, have been borne by the royal family themselves. But the taxpayer pays for security to be provided for the royals, senior politicians and diplomats. It's estimated to cost more than £100 million annually, and it's likely the police and Ministry of Defence would be on high-alert for a state funeral. 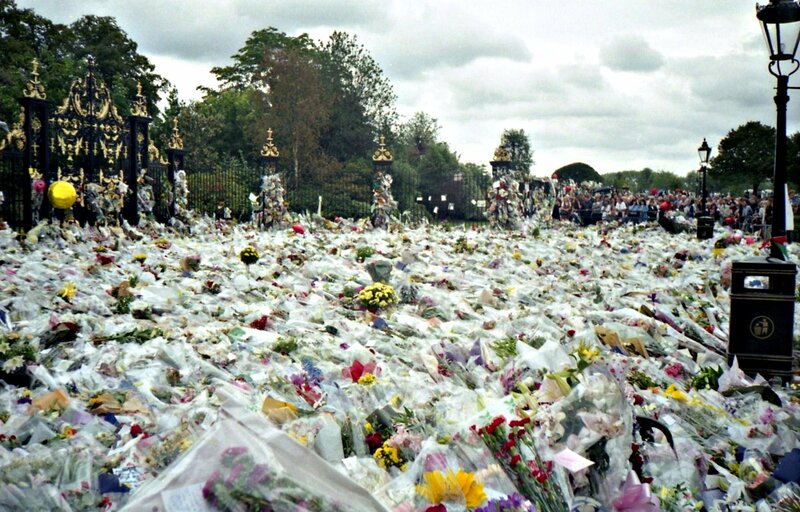 An estimated 2.5 billion people watched Princess Diana's funeral. With modern technology, especially in the developing world, the number watching the Queen's funeral could be even higher. The day of the funeral will be deemed a day of mourning and a national holiday, meaning the stock market and banks will close. According to 2012 figures from the Centre for Economics and Business Research, each national holiday costs the UK economy £2.3 billion in lost productivity. I asked if they had any more up-to-date statistics but they told me they got such a bad rap for hating on bank holidays that they've never repeated the research. It could take more than a year after the death of the Queen for Prince Charles's coronation because it's seen as bad taste to do it too quickly. In 1952, Prime Minister Winston Churchill decided to wait 16 months to throw the party for Queen Elizabeth. This time you can imagine Theresa May getting on with the coronation as quickly as is respectfully possible, to quell uncertainty at a time when we've already thrown out the rulebook on Europe. When the coronation comes around, we get another national holiday. In the meantime, a massive rebranding exercise must take place, with all banknotes and coins redesigned and switched, not just in the UK but in the other commonwealth countries that bear the monarch on their currency. New stamps will have to be issued featuring the bust of the new monarch. The national anthem will be immediately changed to "God Save the King". HM Revenue and Customs, Her Majesty's Prisons and other services bearing the name of the monarch would be swiftly changed to His Majesty. The death of the Queen may expose the lack of enthusiasm for the Commonwealth, which the British government has recently accused of being poorly-managed and underperforming. Britain has threatened to pull funding unless there are major reforms, and other members may feel the Queen's death creates an opportunity to rethink their relationship with former colonial powers. This, though, seems unlikely. Prince Charles might be less popular than his mother, but he still has a 60 percent approval rating with the public. Unless he really manages to balls something up, it's likely the royals will still be in business for some time to come. How Would the UK Actually Scrap the Monarchy, and What Would Happen Next?